The game was one of the best games in recent memory and it had it all. Great attacking plays, drama and some solid defensive plays from both teams. Both teams have had contrasting fortunes heading into the fixture, with the Blues coming off a four-match winning streak, the first time the team had achieved this feat since 2011. All of those games were at home though and the Blues were looking to register their first win on the road for the season. The Chiefs, on the other hand, have won three games, drew one game against the Blues and were looking to continue the streak against the Blues. On the other side of the conversation, the Chiefs have had an unusual season, where they lost their first five games of the season but they have won their last two games. The first points of the game came via an Otere Black penalty in the fourth minute of the game. The home side did strike back through halfback, Brad Weber in the ninth minute. Weber read the attacking play from the Blues really well and intercepted a pass to run all the way to the try line for the first of the game. Damian McKenzie converted the try. The Chiefs struck again in the 24th minute through Lachlan Boshier who scored off the back off some razzle-dazzle play from the Chiefs. 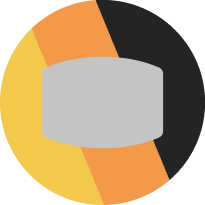 Damian McKenzie converted the try. 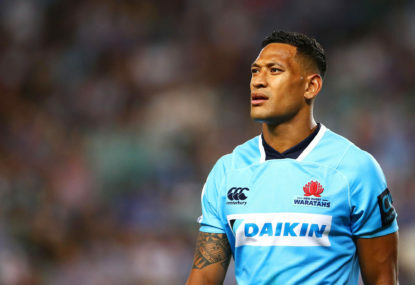 The Blues did peg one back through the fullback, Melani Nanai in the 35th minute. A few offloads between captain Patrick Tuipulotu and prop Karl Tu’inukuafe and a pass off to the impressive TJ Faiane who in turn passed the ball to Melani Nanai who scored the Blues’ first for the game. Otere Black converted the try. The Chiefs led the Blues at half-time by 14-10. Damian McKenzie got injured in the 42nd minute with a knee injury. The sight of an injured McKenzie is a worrying sign for the All Blacks selectors and coaching staff, as he is an integral part of the All Blacks World Cup plans. All Blacks centre, Anton Lienert-Brown put a step on a Blues defender and passed it to Moeakiola to score the third try for the Chiefs. Marty McKenzie converted the try. The Blues hit back through All Blacks legend, Ma’a Nonu who bumped off rival no.12, Anton Lienert-Brown. Otere Black didn’t convert the try. More razzle-dazzle was on display when the Chiefs scored their fourth try after Shaun Wainui freakishly regathered the loose ball with his foot and assisted Lachlan Boshier for his second try for the game. Marty McKenzie converted. 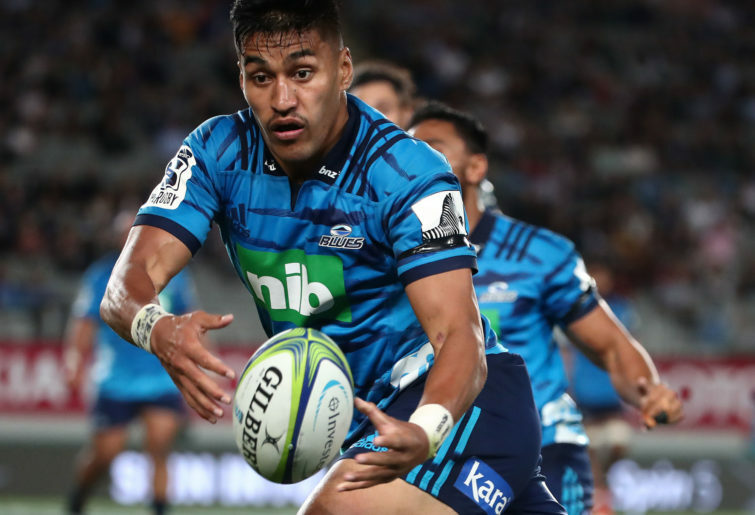 The spectacular plays continued with a 67th minute try to Rieko Ioane who scored his eighth try of the season. The All Black winger finished off an excellent clean break from no.13 TJ Faiane with a freakish finish in the corner to help the Blues score their third try for the game in the 67th minute. Otere Black converted the try. Jesse Parate scored the Chiefs fifth try with insane precision in the 71st minute of the game. Marty McKenzie converted the try. 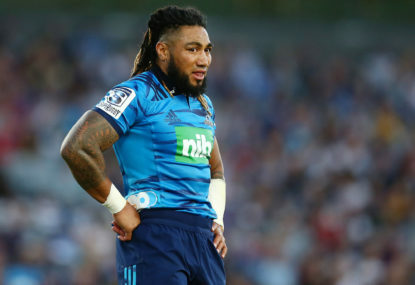 In a game that kept ebbing back and forth, had another turn with a Ma’a Nonu try in the 76th minute, where Nonu beat two defenders with a step to score the Blues fourth try and his second try for the night. Black converted the try. The Blues nearly pulled off a thrilling victory but a loose ball was latched onto by the Chiefs who played the last minute by racking up a few phases and they eventually kicked the ball into touch, ending the game as the Chiefs won their third game in a row by 33-29. 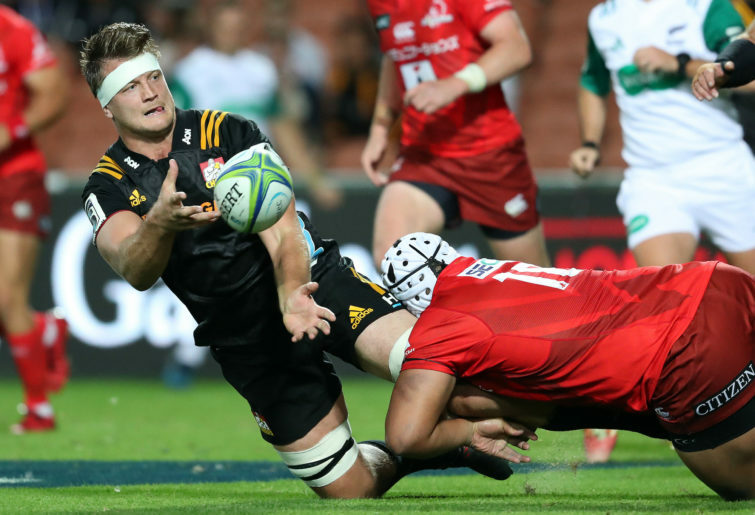 The stars for Chiefs were Anton Lienert-Brown, Brodie Retallick, Brad Weber, Lachlan Boshier and Tyler Ardron. 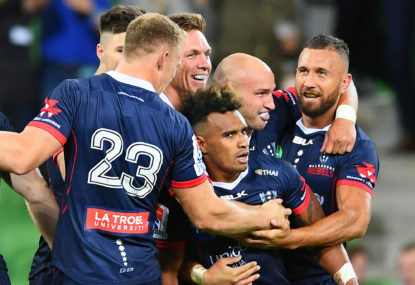 Lienert-Brown, made three passes, nine runs for 19 metres, one clean break, beat six defenders, made five offloads and 15 tackles. Retallick made a pass, ten runs for 19 metres, three offloads, and 16 tackles. Weber pulled off 42 passes, made five runs for 72 runs, one clean break, one offload and three tackles. Boshier scored two tries, made two passes, three runs for 23 metres, 13 tackles and beat two defenders. Ardron made 12 runs for 58 metres, one clean break, one pass and 11 tackles for the night. The stars for the Blues were Karl Tu’inukuafe, Dalton Papali’i, Ma’a Nonu, TJ Faiane and Rieko Ioane. 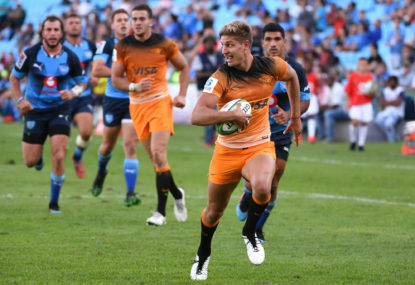 The win was much needed for the Chiefs continue to recover from the horrid start they had to the Super Rugby season. They have won three on the trot and move off the bottom of the New Zealand Conference and head into next Friday’s clash against last year’s runners up at home with confidence. As for the Blues, the four-match winning streak is over and will look to win away from home against the struggling Highlanders. The Blues will be looking to win their first game away from home. Only time will tell whether they can pull it off or not.